Last summer I went out to lunch with my family and fell in love with a drink called Sweet Mama’s Punch. It’s a delicious cocktail with lots of fruity flavors and Amaretto. Before making that drink at home I had never bought Amaretto but I love it now. I set out to find more to make with it one week and decided I had to start with the classic Amaretto Sour. This is by no means the classic version but it uses elements of a classic amaretto sour and Sweet Mama’s Punch. A few weeks ago I decided to make up a batch of these while we watched the playoffs. They were so good. I made a few drinks that day but this was our favorite. It’s a great party drink because both men and women love it, as well as people that don’t tend to drink very often. It’s sweet enough that everyone’s happy. You could make a pitcher up before your party and then everyone can just top off their glass with the 7 Up. 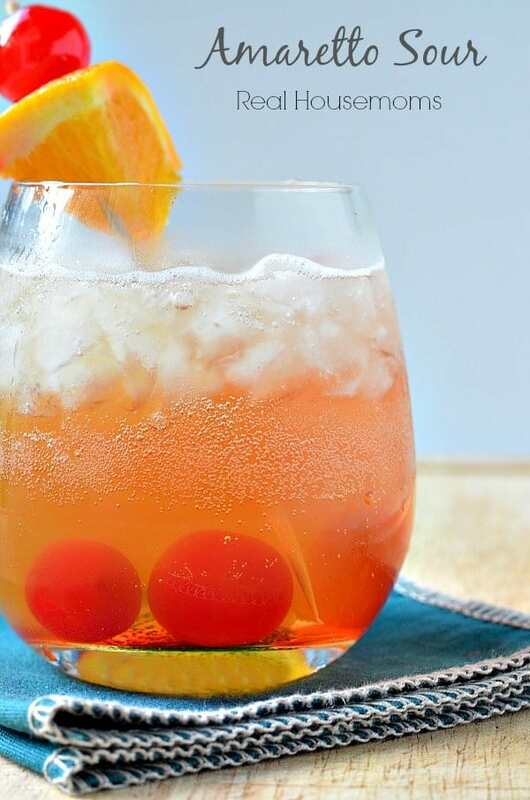 This classic Amaretto Sour is a popular cocktail. 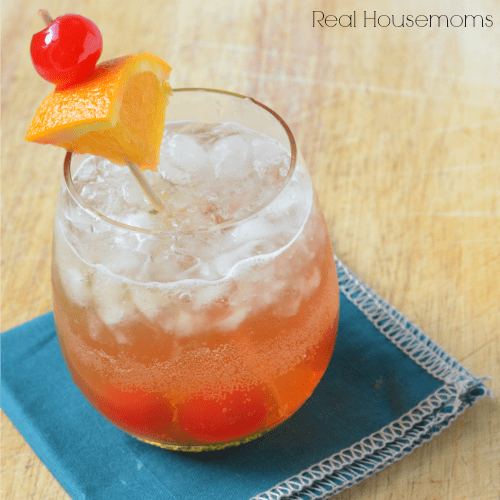 Combining citrus flavors with Amaretto and everyone's favorite maraschino cherries. Where do you get the sweet and sour mix. What brand is it? Where do you get the Armaretto? Sorry I’m new at this….! Here in Oregon we can only buy liquor in a liquor store. In Arizona I would just buy it in the liquor section of the grocery store. The same with the sweet and sour mix. You’ll see it near the margarita mix. Hello! I will be hosting a bridal shower soon and I wanted to serve drinks. How can I make a big batch of amaretto sour? Like blender size batch. Thank you. Also is it pretty sweet? I want it to be sweet. We are in ohio. You can get both at Walmart. We use mr.&mrs. T sweet and sour mix, and di amore ameretto. We aren’t conissour of alcohol so these work.